Jeff Bridges substituted for Zach Galifianakis in R.I.P.D. 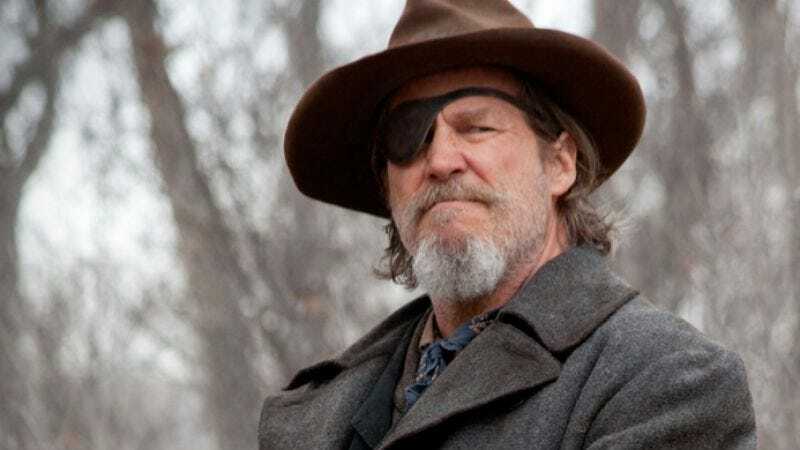 Just like what happened on Crazy Heart, we’re assuming, Jeff Bridges has stepped in to replace Zach Galifianakis on the graphic novel adaptation R.I.P.D., signing on to play a grizzled old gunfighter opposite Ryan Reynolds’ recently murdered cop in the story of dead peace officers patrolling the afterlife. Galifianakis had been attached to the project for a while before dropping out over concerns that Reynolds’ Green Lantern commitments would delay the project indefinitely, concerns that Bridges apparently doesn’t share because he’s Jeff Bridges and whatever, man. Obviously Bridges’ involvement suggests there will be a slightly different approach than whatever Galifianakis would have brought, one that could well end up being a spin on Bridges’ True Grit character—although it’ll be interesting to see if Bridges can bring his usual lived-in gravitas to a zombie buddy cop movie with Ryan Reynolds, which sounds like some kind of intense, Uta Hagen-style actor’s exercise.